Hiring a vehicle with a professional driver in France has never been so beneficial before! 8Rental is the chauffeur service you can trust and never regret! It has an impressive fleet of most diverse cars, minivans, and buses to satisfy even the most scrupulous client's expectations. With 8Rental, every minute of your traveling in France will become a memory you will cherish later. A high level of comfort, guaranteed safety, and sensible prices are what 8Rental provides each of its clients with. 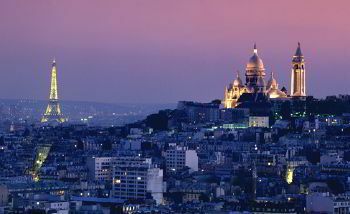 Have you decided to make a proposal to your significant other in the city of love? Or perhaps you are leaving for a city in France on business? Regardless the purpose that makes you head to France, you will need a reliable transportation here. Book a standard Volkswagen Passat if your budget is limited, or a luxury Audi A8 if you are used to traveling in chic. 8Rental suggests booking premium cars by such auto manufacturers as Mercedes, BMW, Audi, Volkswagen, Toyota, Ford, and others. There are so many amazing cities in France including Paris, Bordeaux, Marseilles, Nice, Toulouse, Nantes, Lille which you can explore with your entire family or close friends. These cities captivate with their rich cultural and historical architecture, fashionable entertainment facilities, as well as numerous impressive landmarks. Hire a chauffeured minivan in France to accommodate your entire group and drive along the French roads in safety and comfort. A Mercedes Viano is a wonderful choice for traveling with up to eight people, while a Mercedes Sprinter will be perfect for traveling with twenty-four passengers. All of these vehicles are offered with all the amenities you may need for enjoying the entire way to any direction in France! However, in case you need a huge coach, why won't you rent a bus with driver in France and travel in comfort? 8Rental has enriched its fleet with premium Mercedes Tourismo coaches that are available with the most diverse convenience features involving TV and premium audio system, comfy seats, carpeted floors, air conditioning and heating, fridge, toilet, coffee filtering machine, and others. Such a stylish limo as Chrysler c300 designed for up to nine passengers, or a luxurious Cadillac Escalade made for transporting up to nineteen people in chic and style are offered by 8Rental. Book any of them for a special event in France or just for making an impression on your beloved woman. 8Rental is a reputable car rental service and it makes sure its entire staff of employees are professional. Renting a vehicle from this service, you will be provided with a chauffeur that knows well how to drive in the city to make you stay satisfied. Whether you need a slow driving to enjoy the street looks or a quick delivery to your destination, your driver will gladly obey. Licensed, "armed" with years of practice in the passenger transportation sphere, and speaking different languages our chauffeurs can be trusted at any hour of the day! Book your vehicle with driver and have them meet you right at the airport. 8Rental can send its vehicles to Charles de Gaulle Airport, Toulouse–Blagnac, Marseille Provence, Paris Orly, Nice Cote d'Azur, Lyon–Saint-Exupéry or any other airport in France to welcome its clients. Our car and driver supplier in Europe provides all its clients with free-of-charge fuel regardless the length of the journey or the hours the car will be at your disposal. Another great advantage you are sure to get by hiring a coach or any other vehicle from 8Rental is the medical insurance for all the travelers. If any accident happens (there has been no accident registered in the service, yet), our chauffeur service will be in charge of your medical expenses. 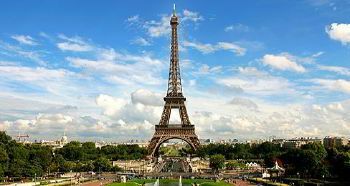 One of the most popular and beautiful countries in Europe is France with its capital Paris. France borders on Monaco, Andorra, Belgium, Germany, Luxembourg, Italy, Spain, and Switzerland. Over sixty million tourists visit this magnificent country every year! And if you are planning to join the ranks of these travelers, you'd better rent a car with a driver beforehand to savor the incredible charm of France and all its places of interest involving the Louvre, Eiffel Tower, Arc de Triomphe, Notre Dame de Paris, Palace of Versailles and plenty of other fabulous sights. Having a minivan in perfect condition with a trustworthy chauffeur at your entire disposal, you can head to such directions as Corsica, Nice, Bordeaux, Lyon, Chamonix and other top-rated destinations in France. This is a country that amazes and allures with its ethereal beauty and luxury! Get a quote to book the vehicle you need on a profitable basis. Do it beforehand to economize on time and have the car meet you at the airport or railways station. 8Rental is ready to answer all its clients 24/7!